By the end of the holy land experience we were like those who came back after a successful mission trip -thrilled from seeing the living God at work. We saw how God intervened and opened doors as large parts of Israel were affected by an unusual cold snap. The day we stepped foot on Israel we had wet and stormy weather. The sky frightened us with strong cold winds and drizzle. One moment I was, Oh no, is it going to be like that during the whole trip? Next moment I was praying and believing. The second night we gathered at a function room. After a fun icebreaker, a few shared how the Lord led them and opened the way for them to visit the holy land. 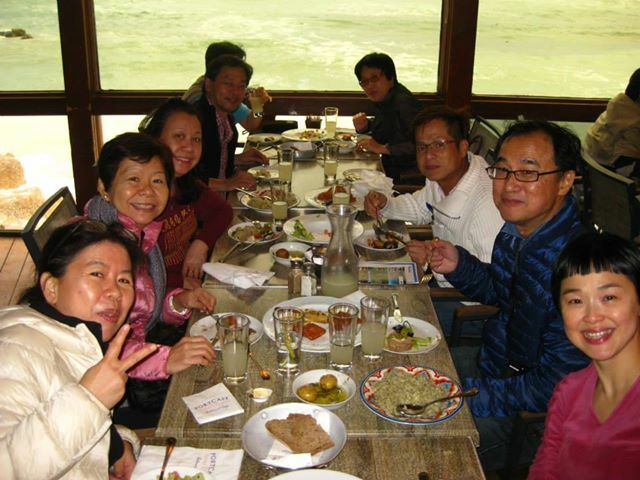 Earlier that afternoon, we ate St Peter’s fish in a restaurant by the lake of Galilee. 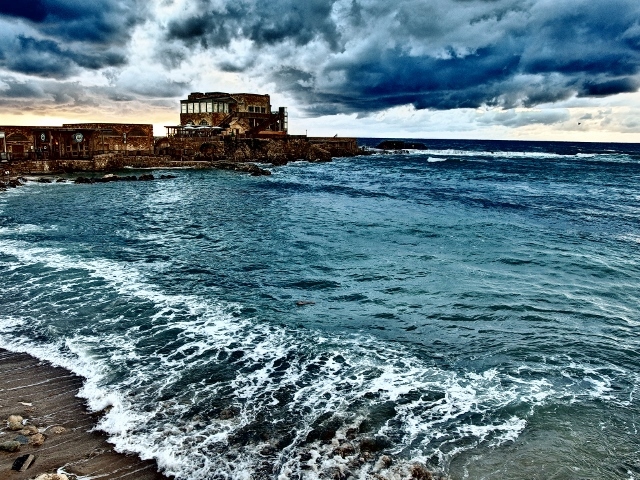 The fierce winds agitated the waves till all boats were recalled to shore. Our scheduled boat ride was cancelled. So that night I read a pertinent passage about Jesus, the Lord of wind and waves, calming the winds and challenged everyone to pray and trust the Lord to grant us open doors and good weather in the days to come. 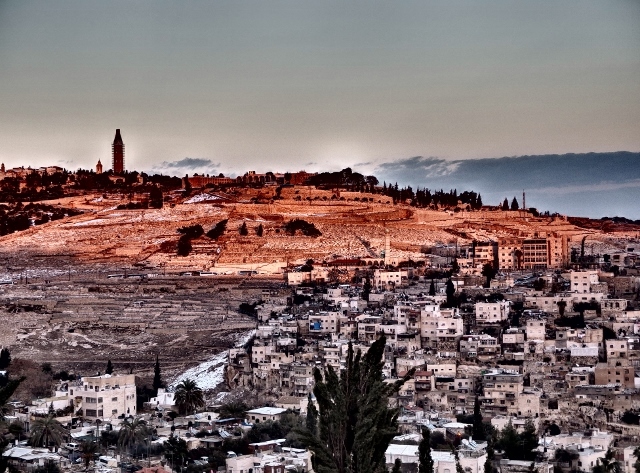 We had also received news that Jerusalem received a metre of snow and was struggling to cope. Thousands of homes were without power, roads were closed, many motorists were trapped in vehicles, the army had to be called in to help. 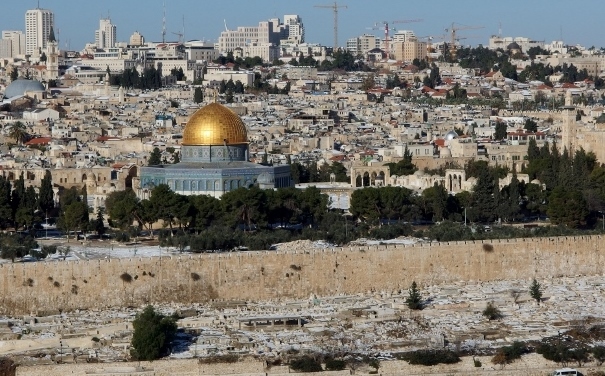 The Jerusalem mayor called it a snow tsunami. We were told the last time there was so much snow was a hundred years ago. We were in a historic moment but it worried us. That night we prayed with earnest. 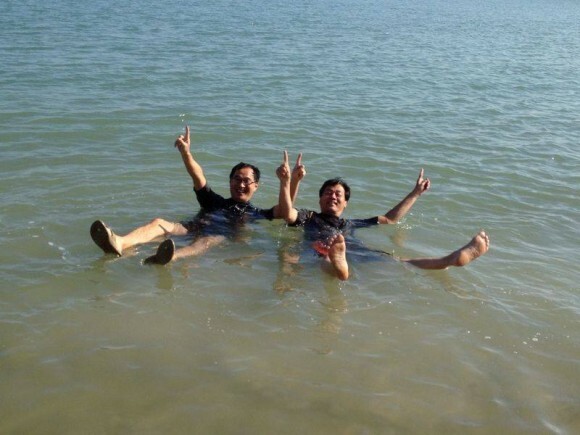 The next morning, the lake of Galilee was safe for the boats and that was a testimony to God’s faithfulness and grace. When they played a song of praise on the boat, great joy broke out, and like little children we laughed, fed the seagulls, played and took photos. Later while on the boat, I conducted the “eucharist” which means “thanksgiving”. How appropriate. The rest of the trip we had similar encounters of God’s faithfulness and power. Several places were initially closed to us because of the cold weather or power failure. The Dead Sea was closed due to the weather. 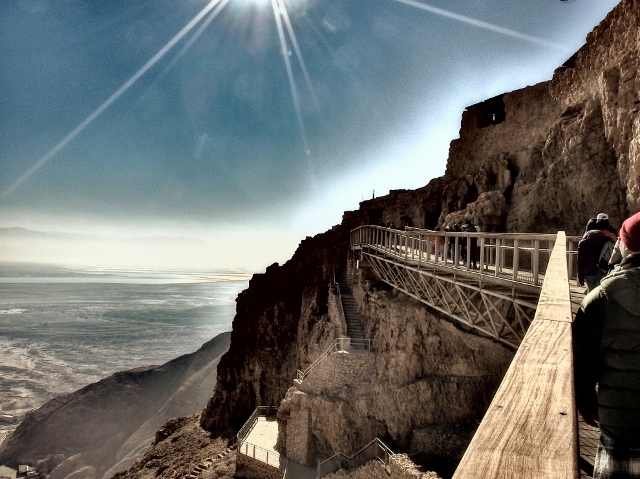 Masada had a power failure so the cable cars were paralyzed. However the next day, the weather turned sunny and power was restored so we went to both the Dead Sea and the Masada with great joy. It was the same for Jerusalem. With all the TV coverage of closure of roads, very cold temperatures and trapped tourists, we wondered if we could enter Jerusalem for the last leg of our pilgrimage – the via dolorosa. God opened the way. We saw cars and buses from Jerusalem with thick snow on their roofs. This meant the roads have been cleared. We were excited and so thankful when we entered the holy city and stood at the Mount of Olives. The panorama of the old Jerusalem under snow was a special, unique and rare sight. We were privileged and blessed to be there at that moment. We came to see the holy land but we also saw the living God in action. This was one blessed and awesome pilgrimage. There are three levels at which we can experience the Holy Land. One is as a tourist. Second is as a student. Third is as a pilgrim. The tourist wants to experience new places, food, culture, weather and see new things and get his or her money’s worth throughout the tour. The person does not want to be taken for a “ride”. The person wants everything on the itinerary to be delivered as stated on the brochure. He or she will usually take a lot of photos and will complain or extol the tour depending on what he or she has experienced. He or she will look for opportunities to shop and buy souvenirs at every window of time. The tourist is satisfied when the tour delivers as promised and he or she has experienced many pleasant new sights, food, and places. The student wants as much information about the places and historical events and biblical background as possible. Thus before the trip the person would have read a book, or watched many YouTube clips on the holy land, or googled some of the places mentioned in the itinerary. The person would stick close to the Israeli guide and ask questions to learn more. On returning he usually continues his or her research on the Bible and internet. The student is satisfied when he or she has learned a lot of new things. The pilgrim looks forward to the trip as if it was a journey of faith. He or she longs to call to remembrance some of the Bible events and characters associated with various places and respond to them by listening to what the living God of today wants to say to them about their life situation. 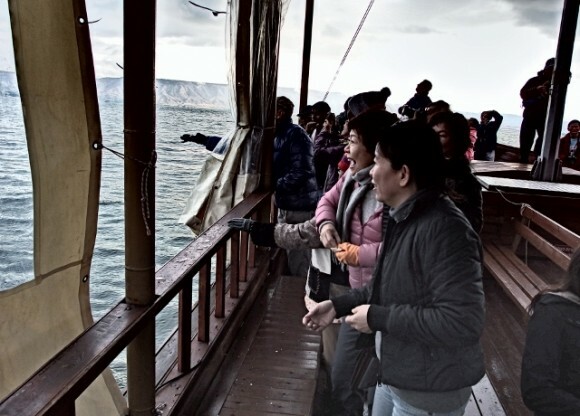 So during the boat ride at the lake of Galilee he or she is not just snapping shots of the feeding of seagulls, but is also meditating about Jesus sleeping in the boat, or walking on water, or feeling the panic of the disciples as water entered the boat. The pilgrim re-experiences what happened to the disciples. He or she interacts with the resurrected Lord who is in the boat there and then. At the Garden of Gethsemane, the pilgrim brings an issue he or she is struggling with, and prays, Lord not my will, but Yours be done, and wait in silence to experience the response of God to their prayer. Even in meals and conversation with others, or through the meditative talks, or holy communion, or baptism, and renewal of marriage vows the pilgrim is aware of the Lord’s action in his or her heart.The pilgrim is satisfied when he or she has experienced God through the places, and the evocation of past events and characters. 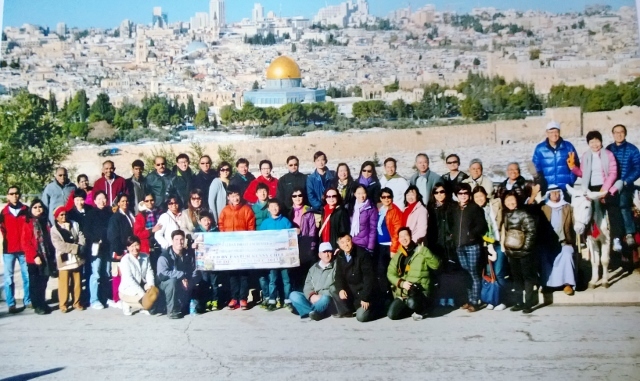 It is a now encounter with the God of Israel facilitated through the holy land tour. We have elements of all three whenever we go to the holy land but it is hoped that more and more it would be the pilgrimage that is more dominant and it is the task of the pastor leading the tour to facilitate this. This was the first time I led a tour of 47 folks to the holy land to follow the footsteps of Jesus. 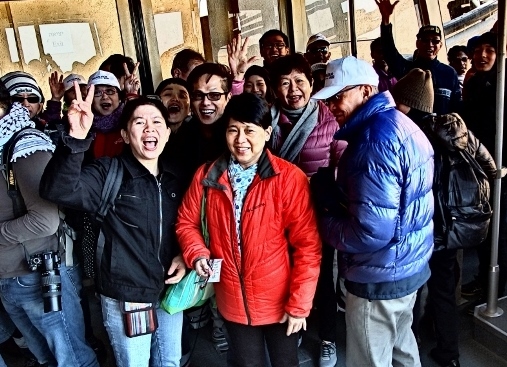 The first time I went on a familiarization tour with Omega Tours my eyes were a quarter opened. My eyes were opened wider this second visit to Israel, and I heard more and learned more. However, as a pastor/leader, I now feel on hindsight that there were a few places where I could have done more to facilitate this encounter/interaction with God. The next time it will definitely be better. On Monday I am off to the Love Singapore Pastors Prayer Summit in Malacca. 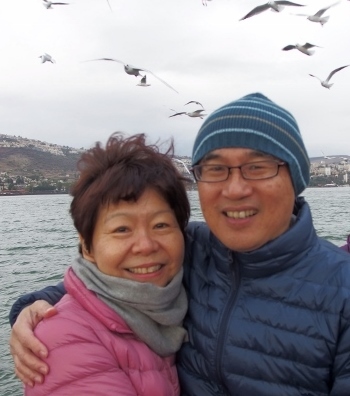 When I return I hope to continue blogging about this incredible trip where we experienced the God of Israel at work in our trip, which was beset by a freak cold storm.